Bank Holiday Monday promised a day of sunshine and dry weather, this was the reason for deciding not to pack a jacket with me on our second day exploring York. 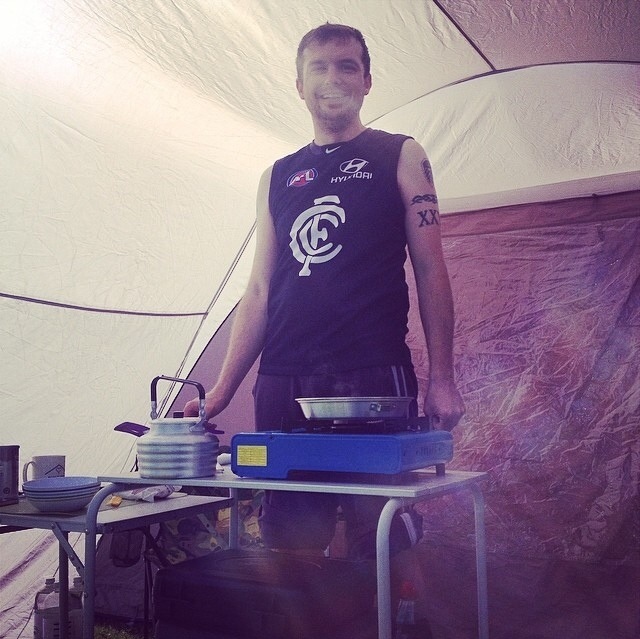 I cooked us a couple of sausage sandwiches to ensure we started the day with a full stomach, the sun was out as we left the campsite to head back into the city. Today was going to be another day of new adventures, one that started by walking around the first part of the city walls. 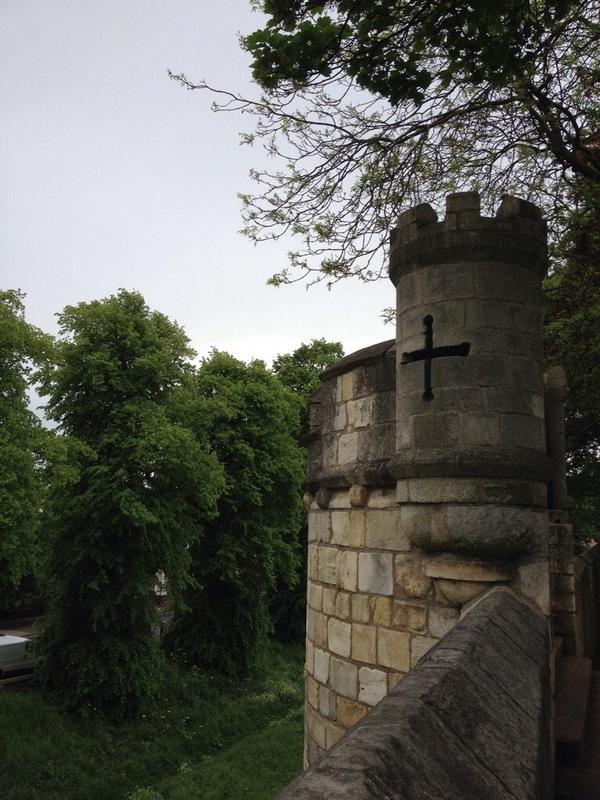 75% of York is surrounded by the original Roman walls and these have been modernized in parts and repaired to allow walking access along them. The turrets with arrow slots paint exciting Images in my mind as I could see the Roman Army defending York from these points in history. This is when the weather decided against following the forecast and the first light showers hit us. I was determined not to allow these showers put me off as we left the City Walls and headed towards York Minster. York Minster is an impressive building, whose walls contains a lot of stories and historical events. Richard the Thirds young son was buried within these walls decorated with numerous examples of breathtaking interior design work. We decided not to visit the tower but that didn’t dampen the experience. There is a display that shows the work that is currently being undertaken with one of the largest stain glass windows. They are removing the panels one by one and cleaning them and resetting the panels. Each panel can take up to 1,000 hours with a cost of over £10,000 to repair. York Minster costs £20,000 per day to run and operate which is hard to imagine but after exploring it you can understand why these costs exist. 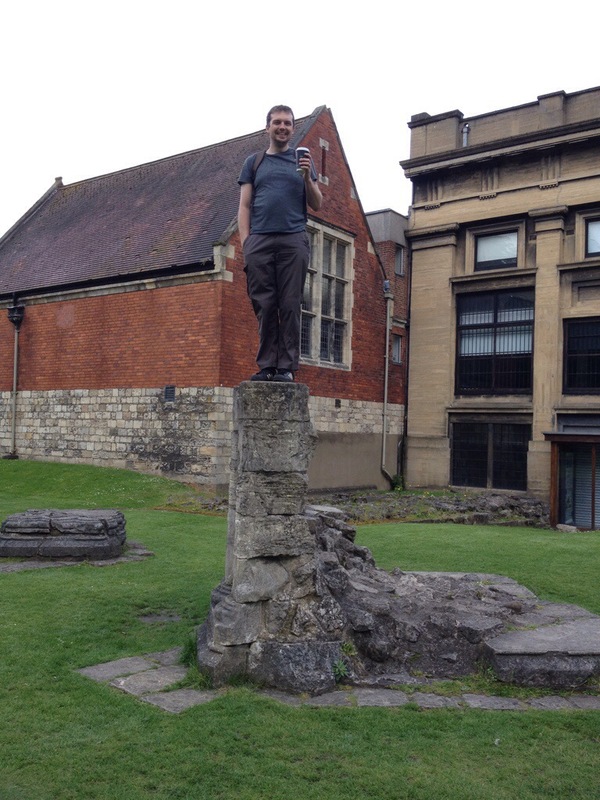 York Minster has had to have some major foundational restoration work carried out. The East wing started to sink with cracks appearing in it. 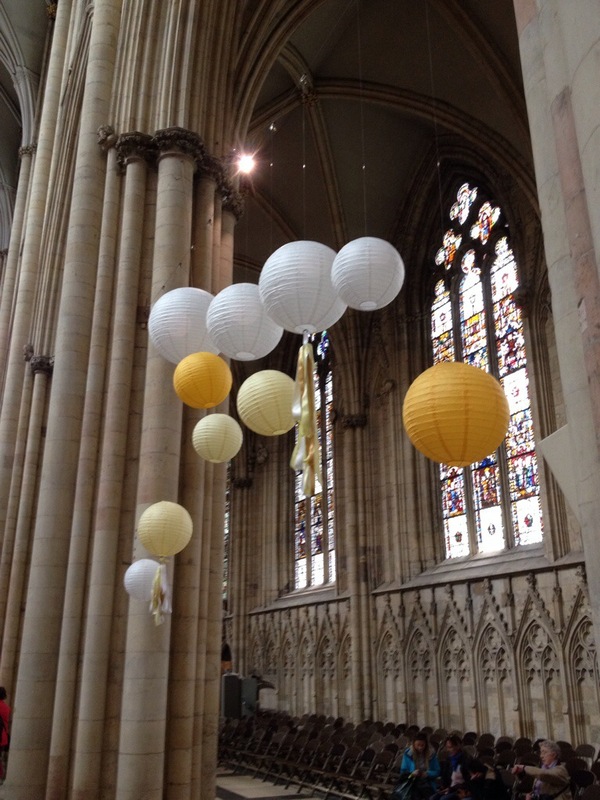 The Minster was saved with hard work and over £250,000 raised to carry out the emergency work required. Some of the bolts driven into the foundations are visible as we walked under the basement of the Minster. We grabbed a drink in the Guy Fawkes Hotel bar which is another historical landmark in York. Guy Fawkes stayed here before his involvement in the failed gunpowder plot. I learnt so much about the story of what happened, I didn’t realise he was Catholic and wanted to lead the revolt to put a Catholic head of the monarchy in place. We “plotted” our next part of the day before deciding to head into Stonegate. At 35 Stonegate there stands another haunted house. This place has had some convincing reports and reviews so with some gentle persuasion I managed to persuade my Fiancé to join me. The woman who managed the place gave us a brief introduction before our tour started and we were left alone. The tour lasted around half an hour as we were led around by audio commentary around the rooms. Some of the rooms were in darkness as I tried to take photos with my phone. There were a couple of instances where I felt a strange sensation. When I sat down on the bench in a room surrounded by old masks and various artifacts I felt a sharp cold sensation on my back. The tour carried on up narrow stairs and darkened rooms. 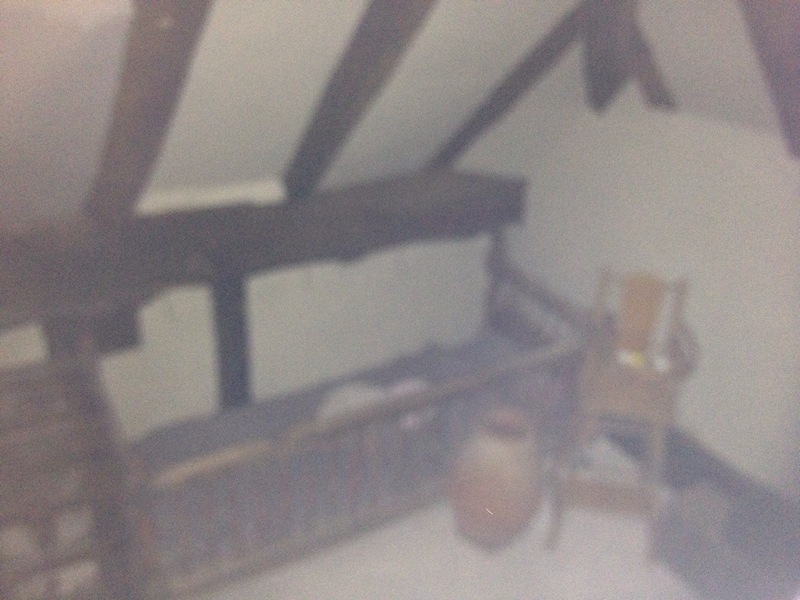 In the attic I thought I saw a golden sparkle in the corner of the room where a child’s cot sat. It was very obvious and something else that added to the feeling I was being watched. The final room had a large table with leather seats positioned around it. The table was set up for a seance with a glass globe positioned centrally on it, this room felt wrong. As we left Lisa my fiancé felt a bit faint as we made our way to The Punchbowl pub to grab some dinner. A couple of delicious cheeseburgers later and we were back on our way to explore York Gardens. York Gardens have some amazing ruins and colourful plants within the grounds. We had a lovely walk around and couldn’t help but be amazed by how some of these arches were still standing. The sun came out as we enjoyed the calming atmosphere that these gardens brought us. We walked through them to the other side before we rejoined the City Walls to finish off our day in the city. The final night chilling at our Campsite was enjoyable as we ate cheese and crackers whilst finishing off the film American Hustle. The weather during the night was terrible as the heavy rain bombarded our tent, fortunately for us this stopped in the morning. Getting the tent packed up in dry conditions was a relief and we were soon off on our way home. Thank you York for a truly amazing long weekend, we did so much but have so much more to come back and do.